ALL 803 thru 1275 BMC A Series engines. Kit includes gasket, chrome retaining nuts, chrome oil cap. *NOTE: This cover breather vent, and vented cap is not suited for the 1975-1980 vehicles with US spec. emissions equipment. The alloy cover will not fit Triumph Spitfire from 1977-'80 with an E.G.R. valve, as the vent tube is not angled to clear the E.G.R. valve. Either the valve location or the cover will have to be modified for use with these vehicles. However warranty is void if cover is modified, please do so at your own risk. Kit includes gasket, hold down rubber bushings and chrome oil cap. Cover does not have breather vents, however cap is vented. Raised MG Octagon cast into cover. Sold as a set of 2 . 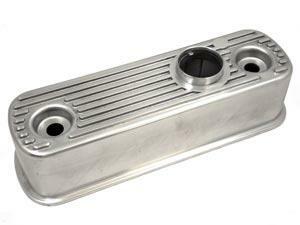 Extra Long Chrome Nuts designed for the B-Series alloy rocker covers. Set has nuts (2) chrome cup washers (2) and thick spacers (2). All you need to complete your alloy cover install . 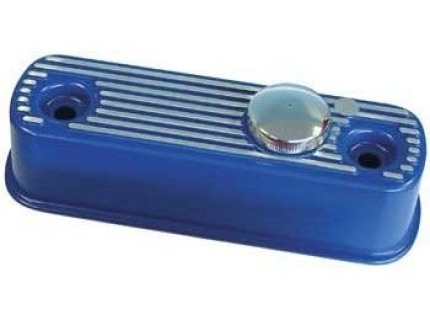 Standard length Chrome Nuts designed for the OEM tin rocker covers and A-series Alloy Covers. Set has nuts (2) chrome cup washers (2) and thick spacers (2). All you need to complete your alloy cover install. B Series BMC Engines with standard cover. (Will not work with engines requiring the nut/studs). Vented chrome cap and extra long Chrome Nuts (2) designed for the alloy rocker covers. Kit has chrome cup washers (2), thick spacers (2) and rubber bushings. All you need to complete your alloy cover install. B-Series BMC engines with alloy Cover. 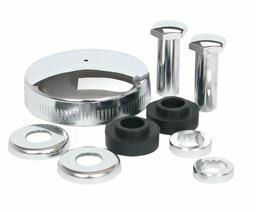 Vented chrome cap and standard length chrome nuts (2) designed for the tin rocker covers and A-series Alloy Covers. Kit has chrome cup washers (2), thick spacers (2) and rubber bushings. 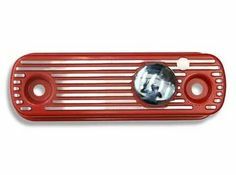 All you need to complete your OEM tin rocker cover install. 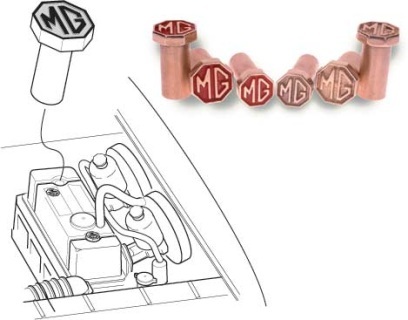 A-Series BMC Engines with standard or Alloy cover. B-Series BMC Engines with standard cover.